Rilax is a natural sleep supplement that improves sleep quality and promotes relaxation so that you will get the healthy and restorative sleep your body needs. Alpha S1-Casein Tryptic Hydrolysate is a bioactive peptide extracted from the milk of only the Holstein breed in France. These cows are specially reared and the milking is done only at night. 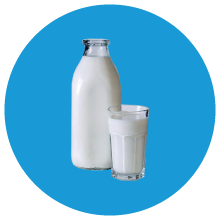 The milk bioactive peptide has an affinity for GABA-A receptors, and increases he activity of GABA which is a neurotransmitter known for its inhibitory action on anxiety and for its relaxing properties. 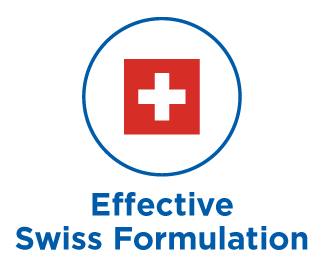 The milk bioactive peptide induces relaxation, improves sleep, promotes slow delta brain waves leading to deep restorative sleep. Its anti-stress properties were shown in improvements on stress markers, including cortisol, heart rate, and blood pressure, and on psychological symptoms such as depression. 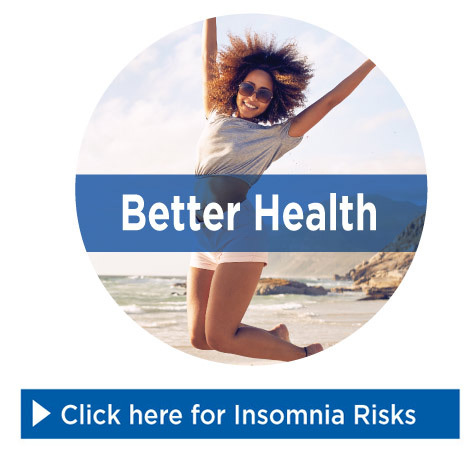 A study in Korea showed the milk bioactive peptide was effective in reducing stress symptoms in women, and a study in Japan found that the milk bioactive peptide improves sleep quality and reduces insomnia symptoms. Alpha S1 Casein Tryptic Hydrolysate is classified by FDA as GRAS (Generally Recognized as Safe). 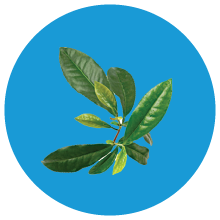 L-Theanine is an amino acid naturally found abundant in green tea leaves. Extensive studies and increasing evidence show that L-theanine enhance sleep quality and efficiency. L-theanine promotes sleep via a subtle anxiolytic effect, altering levels of neurotransmitters and enhancing alpha brain waves. In addition, supplementation does not promote drowsiness, cause dependence, or lead to adverse reactions. It produces a minor anxiolytic effect to the extent that stress is reduced and concentration improves. A study at Oxford University used EEG to show that L-theanine significantly increases alpha brain waves. The presence of alpha waves is an indication that L-theanine relaxes the mind without inducing drowsiness. There are many benefits associated with L-theanine supplementation including anxiety reduction, cognitive enhancement, sleep quality improvement, and increased subjective well-being. FDA has granted L-theanine GRAS status. Each active ingredient not only have studies demonstrating their impact on stress and sleep, but there are also studies supporting their impact on blood pressure and cardiovascular health, and on psychological health such as depression and mood improvements. 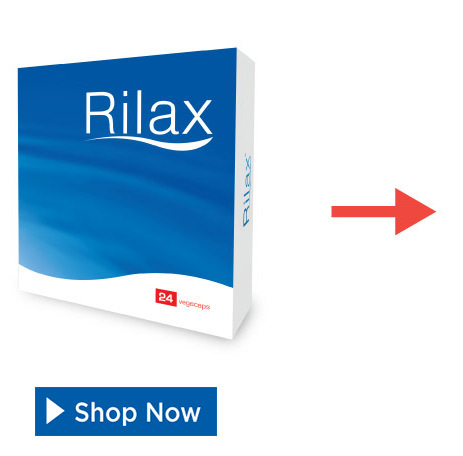 Rilax has demonstrated that the active ingredients are more effective in improving sleep quality and promoting relaxation when combined together in our proprietary formulation. Sleep is the 3rd pillar of health. The lack of restorative sleep affects every aspect of our health – from weight gain, diabetes, and heart disease to cancer and Alzheimer’s. 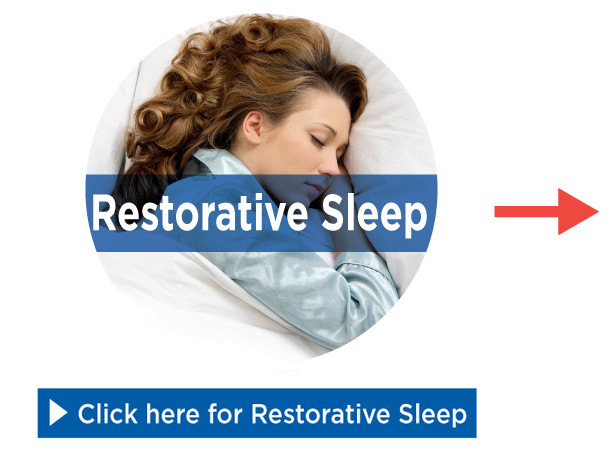 You can harness the power of restorative sleep to improve our health and quality of life. With Rilax, the benefits go beyond improving sleep quality and promoting relaxation, and include the benefits of good restorative sleep on physical, emotional, and psychological health. When & How to take Rilax? Each person may adapt the intake, whether in the morning or in the evening, depending on his/her feelings and specific needs. To promote sleep: 1 capsule a day, before bedtime. Chronic stress: 1 capsule a day, before bedtime.